Originally based out of Sagres, Portugal, the "it" surfer spot, Coworksurf has a reputation: the coolest, most relaxed - yet productive - co-living space out there. Part co-living, part co-working, Coworksurf focuses on providing an irreplaceable community and balance of work hard/play hard. 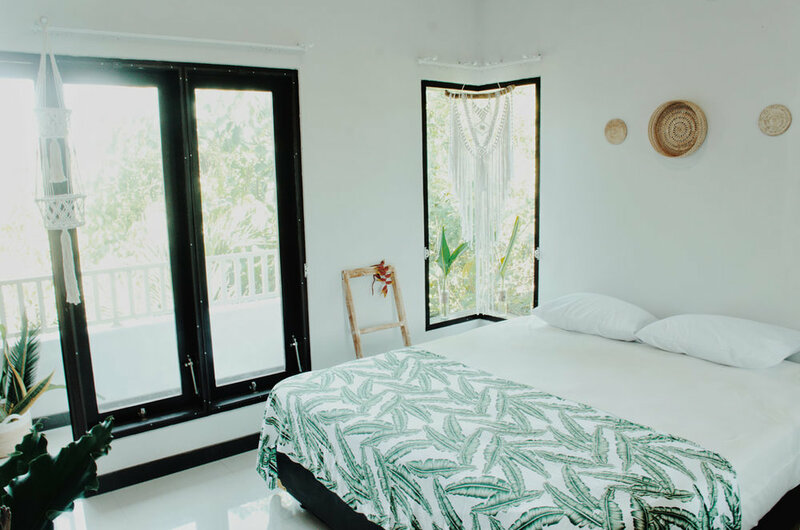 Their fun-loving nature seamlessly weaves with their "get sh*t done" attitude, so their expansion to Canggu, Bali was natural and anticipated. The Vibe Project's mission was to turn a big, modern villa into a space that oozed the Coworksurf vibe. 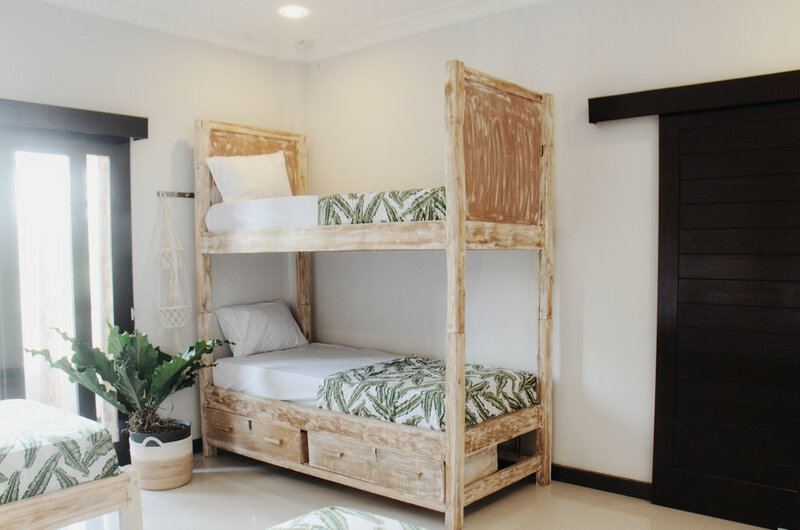 Because of the ultra-modern build of the house, we focused on bringing in natural materials such as woods and cottons and plants to bring the lush Bali nature into the house. We wanted to create a clean, minimal yet cozy atmosphere for guests. The house is made of two dorm-style rooms for communal living and two private bedrooms. In a communal space, it is essential to provide areas where guests can come together or have privacy, and in a co-living space looking to provide co-working, a productive space is also key. The villa will comfortably house up to 12 guests. The Vibe Project created the mood board, sourced fabrics and materials for bedding, pillows and curtains and designed room layouts.